New types of Android phones are coming into the market. They give the user a unique experience. With the smartphones, we keep ourselves entertained and occupied while on the go. You connect to the world via social networking websites, watch movies, listen to your favorite songs, etc. However, at the same time, one needs to be more careful about the privacy and security while using the internet on smartphones. The easiest and affordable way to protect your online privacy on a smartphone is by using the best VPN Android. RED’S Hydrogen phone is going to be with the complete holographic display. RED is known for its high-end digital cameras which are popular amongst the bigwigs from the world of cinema. The new phone will have a holographic display. You can change between 2D and 3D content. You do not need any glasses while doing this. The phone will have good quality audio and camera. The user will be able to connect the phone with the company’s high-end cinema cameras. It will also have a hydrogen network content platform. There are speculations that the phone will be more expensive than iPhone X. Irrespective of which phone you are using; it is always better to protect your data by using the best VPN Android, Windows, or iOS. Smartphones give you the freedom to connect to the internet on the move. But, at the same time, there are chances that a hacker breaks into your phone and there can be data theft. To remain safe, use the best VPN Android and VPN app for iPhone. When you use a VPN, your IP address is hidden. Your online identity is secure. You can browse the internet anonymously. Whereas, make sure to select the best VPN provider. One of the most outstanding VPN service providers is Le VPN. They have an exclusive app for iPhone. With this app, you can change the IP address, secure the internet connection of your iPhone and iPad. You can also keep your identity and location private and overcome the internet censorship. 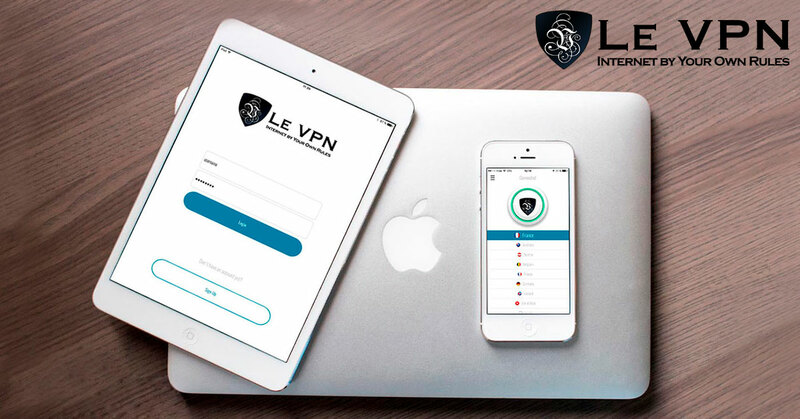 Installing Le VPN on your iPhone and Android is very simple. Just download the Le VPN app from the App Store. For Android, you can download Le VPN app from Google Play Store. Subscribe to Le VPN’s affordable plan. Log in with the user credentials, select any country from the list displayed in front of you. Once the connection is successful, the Le VPN button will turn green. The setting up is not tough at all. To add here, the Le VPN app for iOS automatically selects the IKEv2 protocol. However, you can pick OpenVPN and L2TP/IPSec connections as well. So, try Le VPN today!